Melvin Boyd Joiner, age 85, of Clarksville, passed away Tuesday, March 26, 2019, at Vanderbilt University Medical Center. A Celebration of Life Service will be held Friday, March 29, at 1:30 PM, at the Chapel of Neal-Tarpley-Parchman Funeral Home, with Dr. Felts Dent officiating. Burial will follow at Edgewood Cemetery, in Trenton, KY. Visitation will be Friday, from 11:30 AM until the time of service, at the funeral home. Boyd was born May 26, 1933, in Lafayette, KY, to the late Thesdon Bert Joiner and Mable Frances Hogan Joiner. He was also preceded in death by a brother, Bert "Wilton" Joiner, Jr.
Boyd graduated from Trenton High School in 1953 and Austin Peay State University in 1959, with a Bachelors of Business degree. He served in the US Army from 1953 until 1955, with the 3rd Armored Division stationed in Ft. Kobe, Panama. When he returned from military service, he married his childhood sweetheart, Dorothy Vernon Latham on December 18, 1955. After graduation, he was employed by Clarksville Department of Electricity, in the business office. At the time of his retirement in 1994, he served as Inventory, Warehouse, and Vehicle Superintendent. 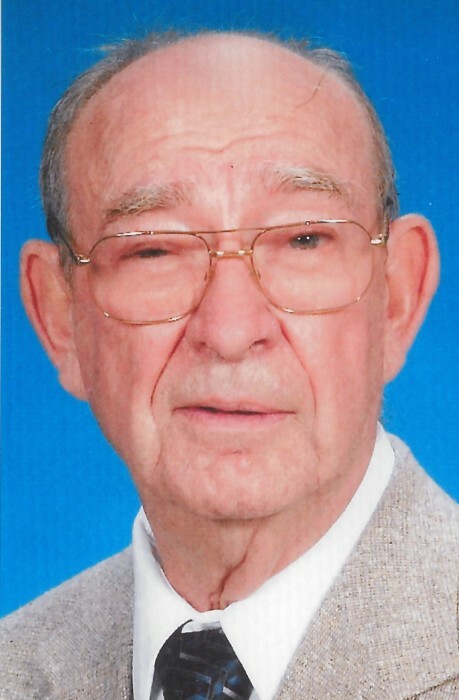 He was a member of First Baptist Church of Clarksville for over 60 years. Boyd is survived by his loving family, which include his wife of 63 years, Dorothy Joiner; two sons, Steven Boyd (Beverly) Joiner of Mt. Juliet, TN and Michael David (Joan) Joiner of Hanson, KY; four grandchildren, Brittany (Matt) Taylor of Murfreesboro, TN, Justin Joiner of Louisville, KY, Christi (David) Allen of Nebo, KY, and Cody Joiner of Nashville, TN; four great grandchildren, Emily Allen, Logan Allen, Elijah Taylor, and Levi Taylor; and one brother, David (Jane) Joiner of Nashville, TN. Pallbearers will be Bob Noel, Doug Noel, Justin Joiner, Cody Joiner, Cale Joiner, and Peter Thomack. Honorary pallbearer will be Andy Joiner. In lieu of flowers, the family has asked for memorials honoring his life to be made to the First Baptist Church Endowment Fund, 435 Madison Street, Clarksville, TN 37040.